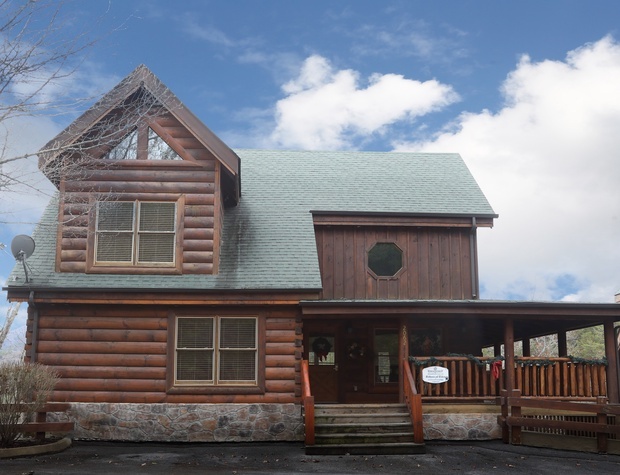 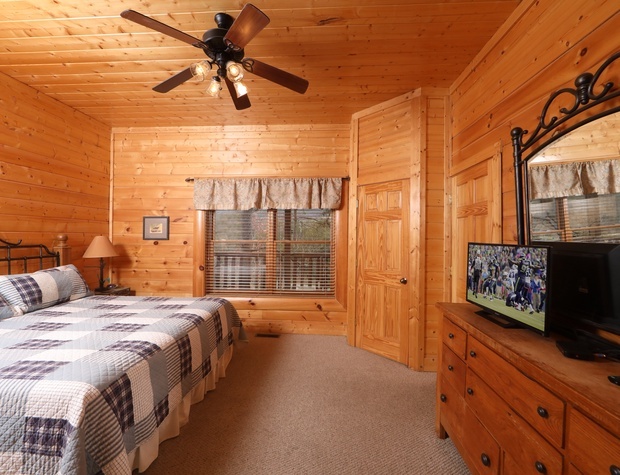 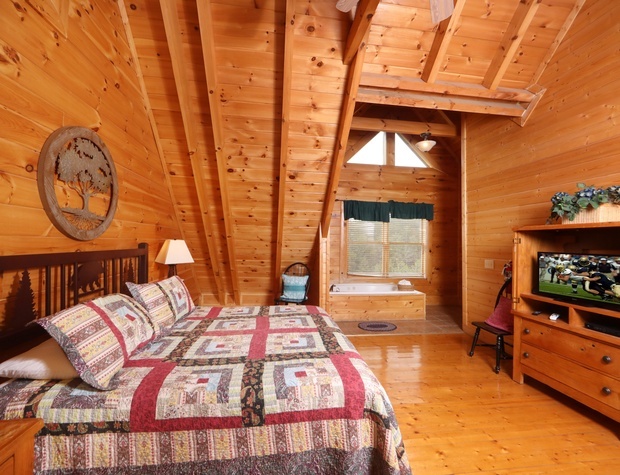 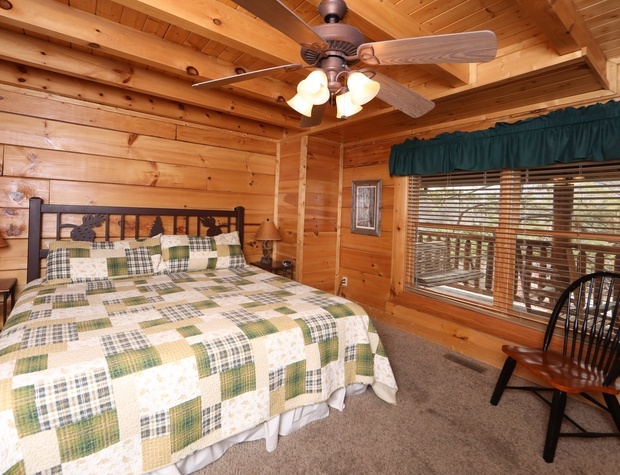 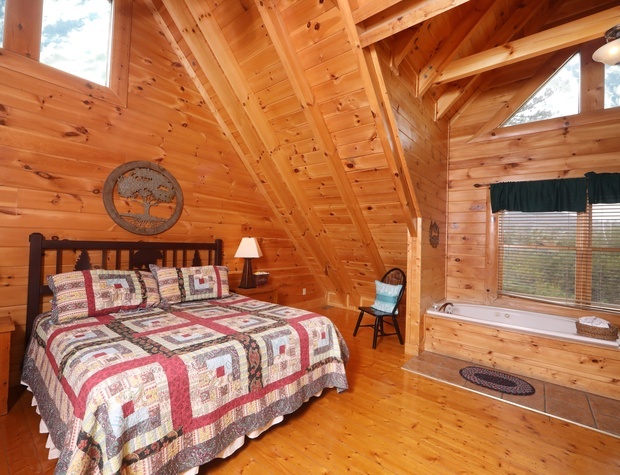 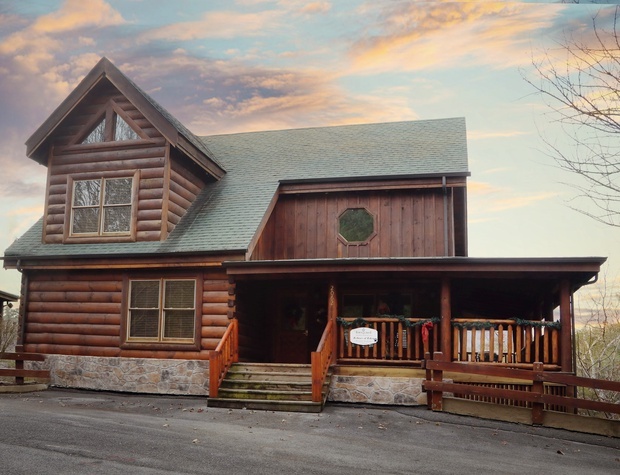 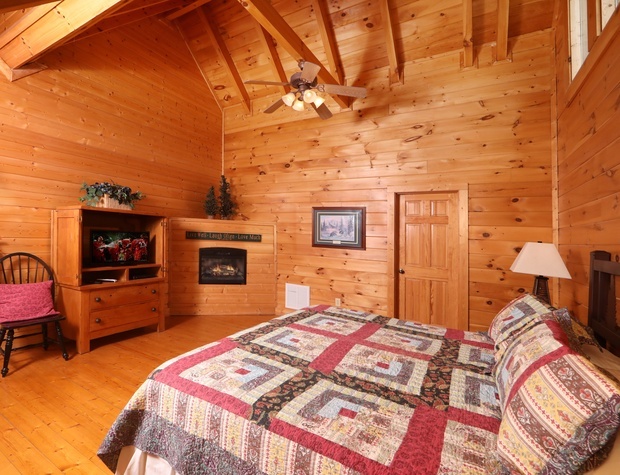 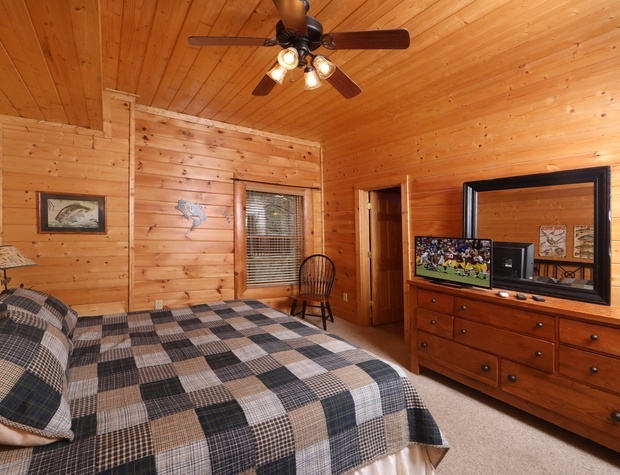 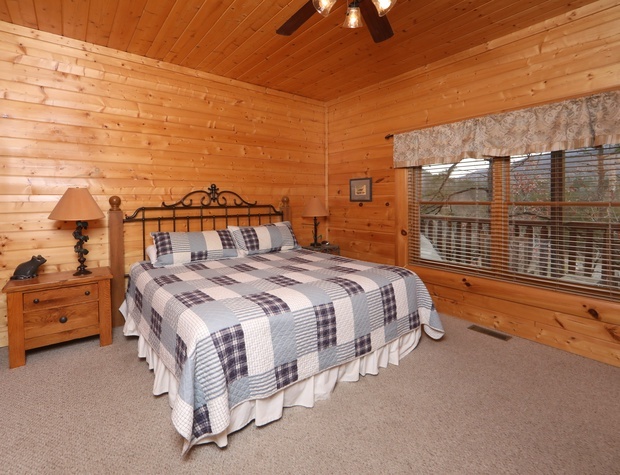 Nestled in the beauty of the Great Smoky Mountains “Echoes of Eden” offers luxury accommodations for up to 12. 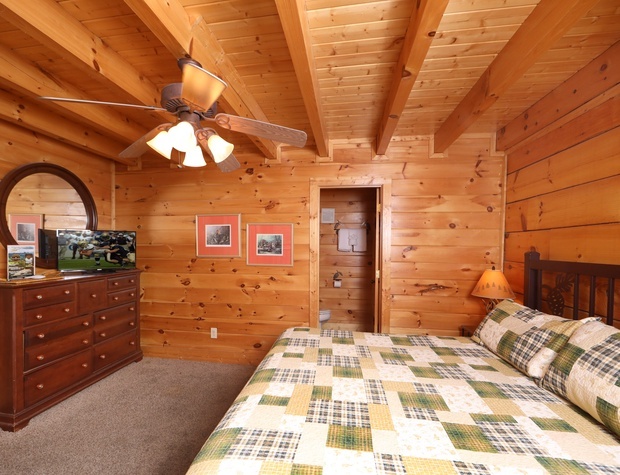 With four king-sized beds and two luxury queen sleeper sofas everyone will dream of plush gardens and opulence as they lay down to sleep. 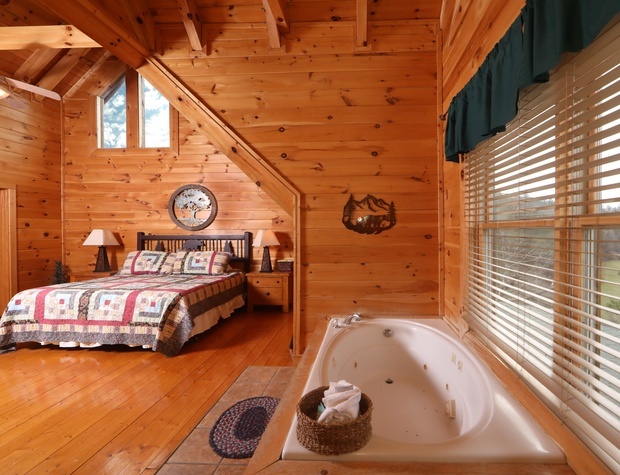 But claim your spot as the Adam and Eve of this garden in the master bedroom suite which features a fireplace and a bedside Whirlpool tub! 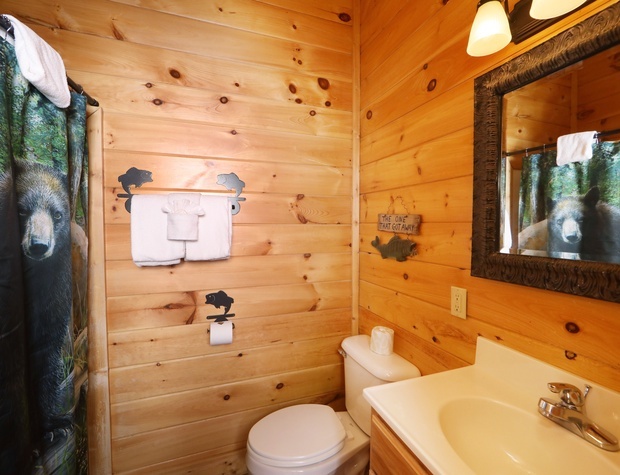 As you enter the great room in “Echoes of Eden ” you will surely liken this to a modern-day Garden of Eden. 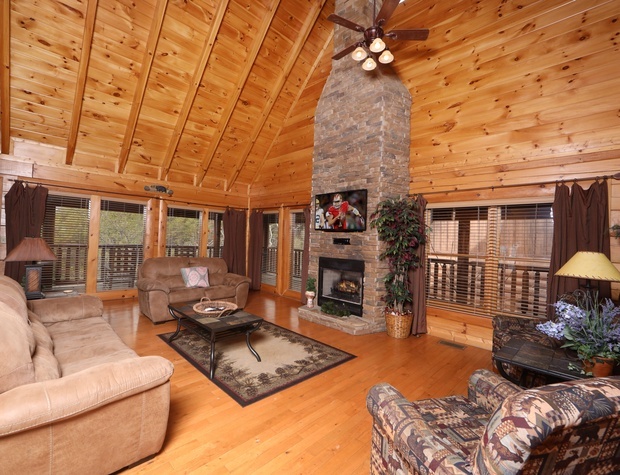 With its stone fireplace opulent décor and spectacular views you will have no desire to eat from the forbidden tree. 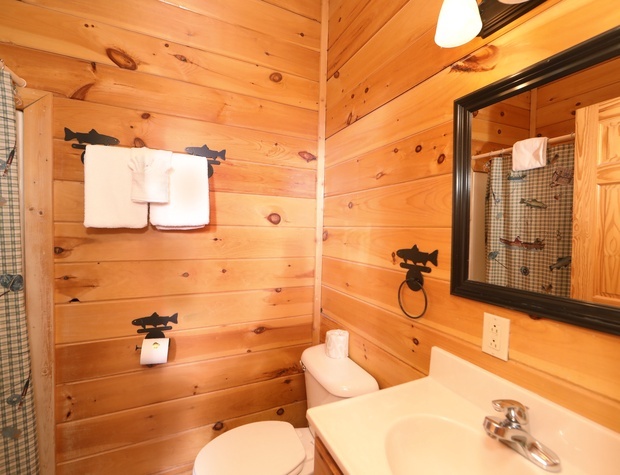 You will have everything you could want or need right here! 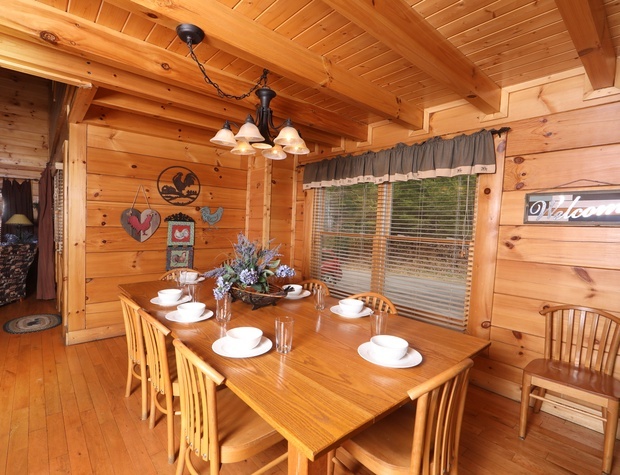 And if you do get hungry you can whip up a heavenly meal in the fully-equipped kitchen! 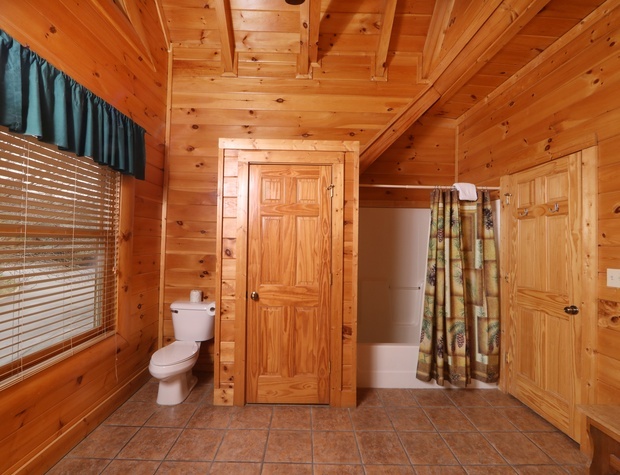 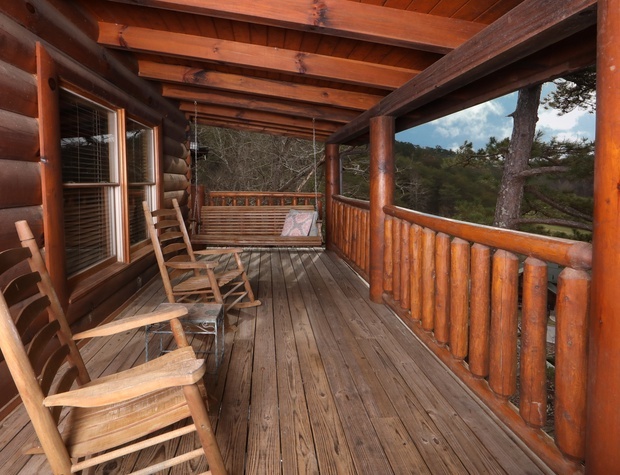 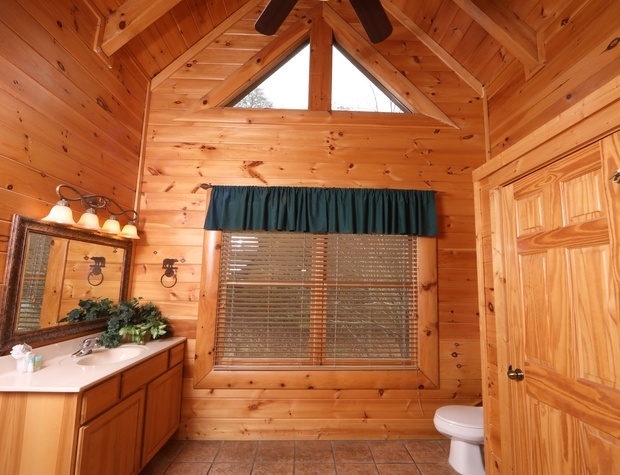 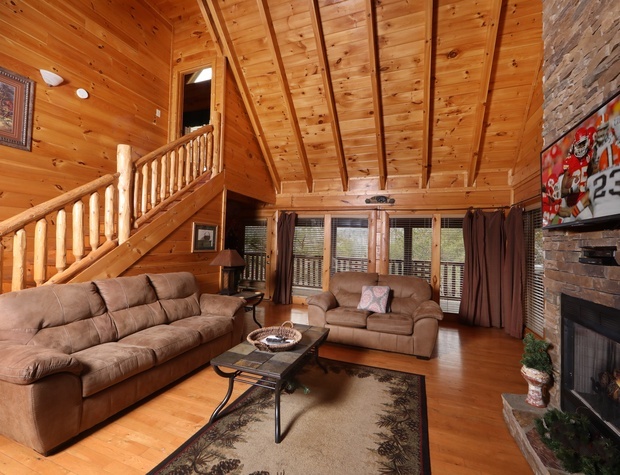 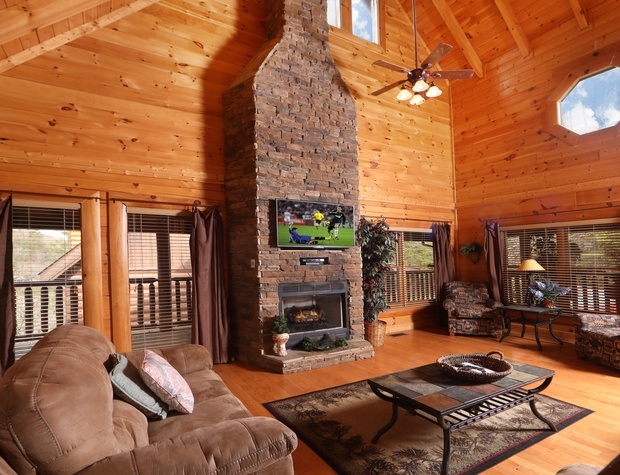 Be sure to take in the fresh mountain air and the glorious views from your private covered wrap-around deck. 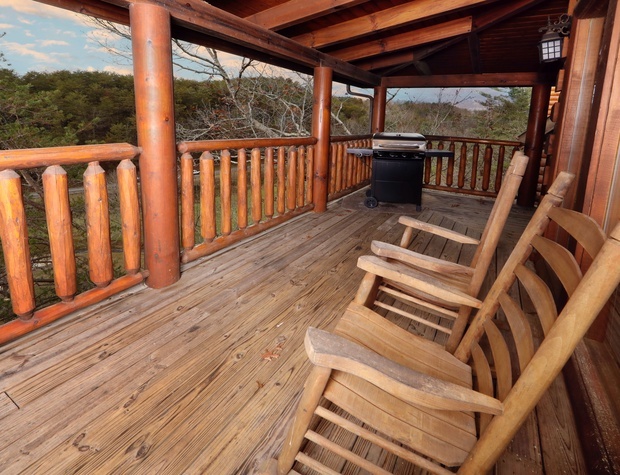 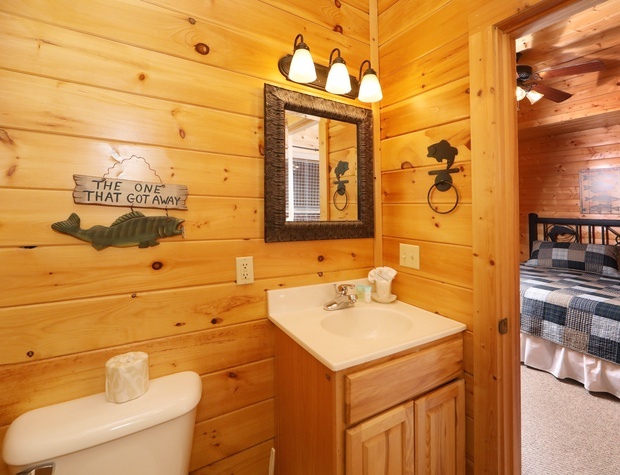 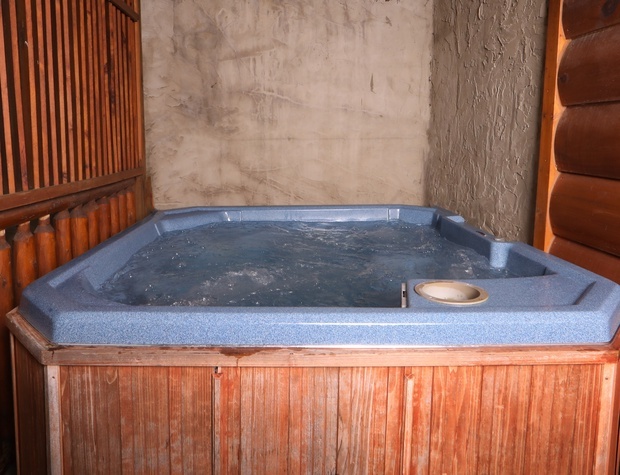 Rejuvenate body and soul in country porch rockers or in the private hot tub right out the door on the covered balcony. 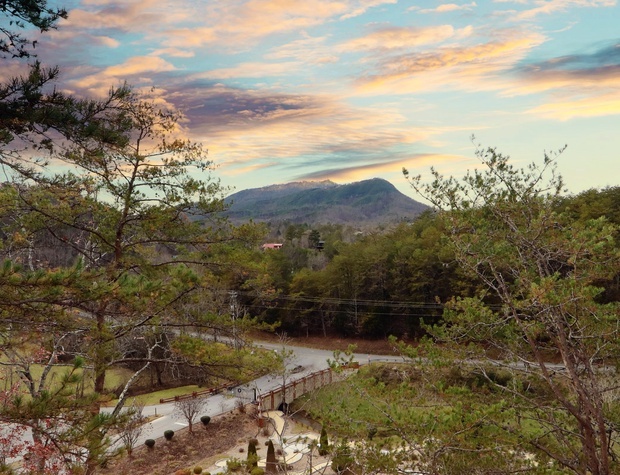 “Echoes of Eden” provides awe and wonder both inside and outside! 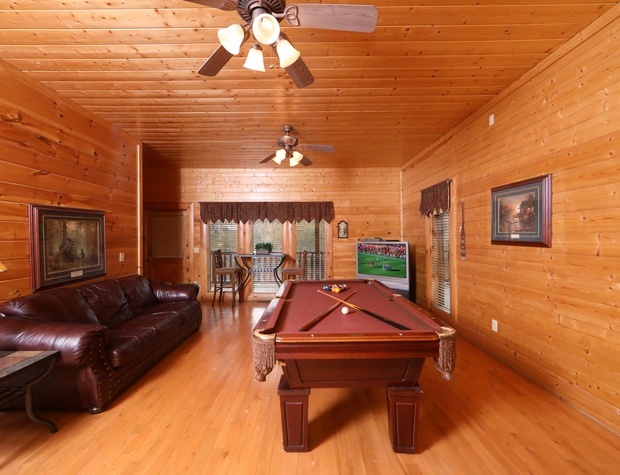 After a full day of fun in Pigeon Forge and Gatlinburg (which are just a few short miles from the cabin) enjoy fun done right in “Echoes of Eden ” with a pool table stand-up video arcade game and a widescreen TV. 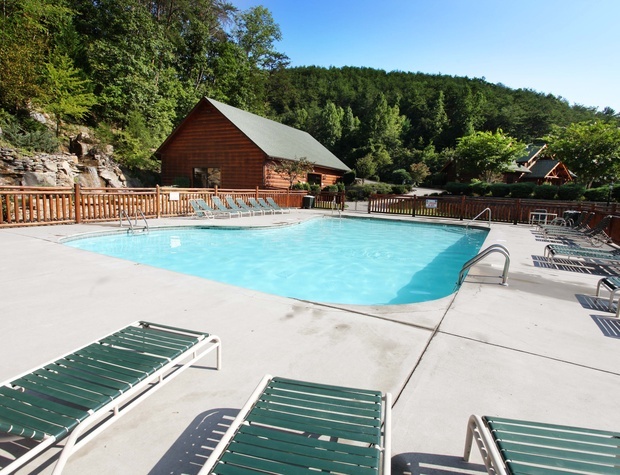 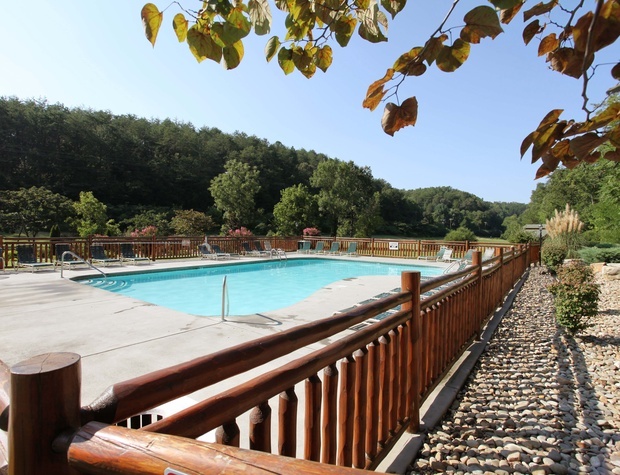 Located in Bear Creek Crossing Resort “Echoes of Eden” includes access to both an indoor and outdoor pool and a miniature golf course! 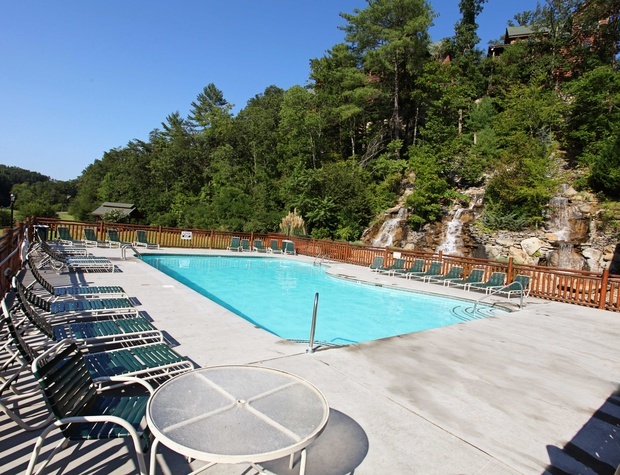 So come enjoy the “Echoes of Eden ” your personal modern-day paradise!